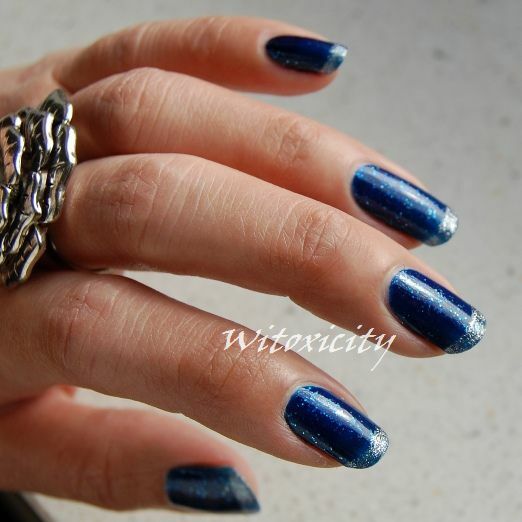 Shown here is Sephora Blue Sapphire P07 glammed up with silver French tips. 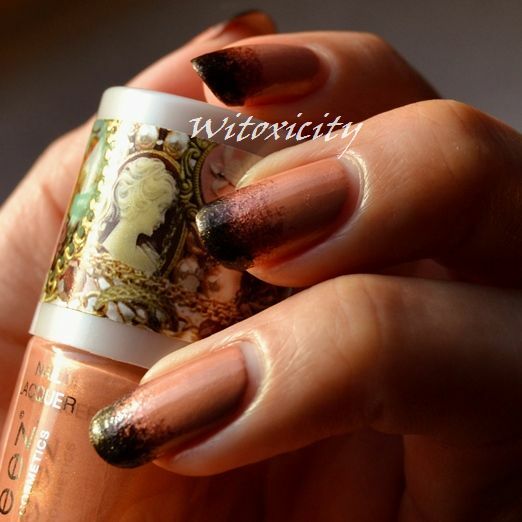 I think this would be a cool nail look for a New Year's Eve party. 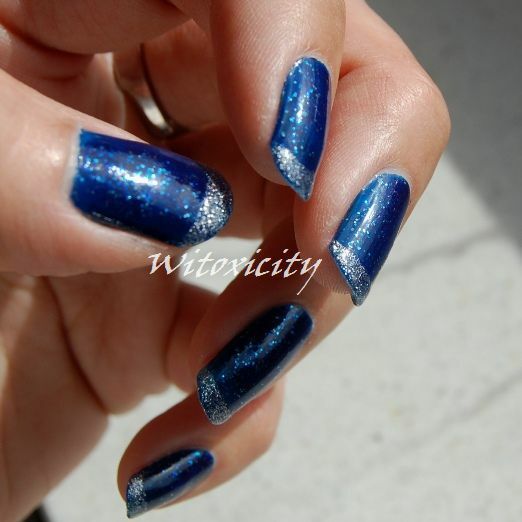 Best of all, it's so easy: just apply a couple of coats of the blue jelly and then apply a thin strip of silver at the tips. For this, I prefer to free-hand it. A tip painter with a fine brush would be handy (just paint across the nail). If you haven't got that, you could use any silver polish with a conventional brush and do a few strokes in the direction of the nail tips. 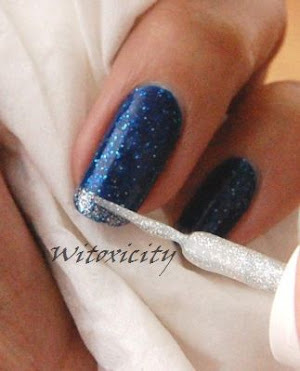 Here, I've used the silver Essence Multiglitter Tip Painter. Seal your handiwork with a top coat and you're done! 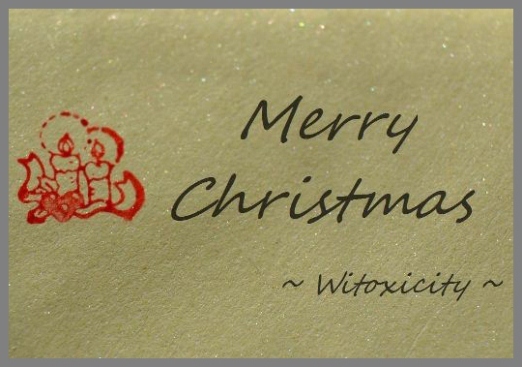 Have a Blessed Christmas, everyone! Eat plenty and be merry! The first thing that comes to mind when one sees this is most probably the word "crude". It looks unfinished, imperfect and unelegant, not at all like those cookiecutter-perfect factory-made products in eyecatching, stylish packaging that we've all grown accustomed to today. The truth is, I bought this here in the Netherlands in a store that sells mainly cooking utensils and homeware. As usual, I was simply curious when I saw these chunks of soap. 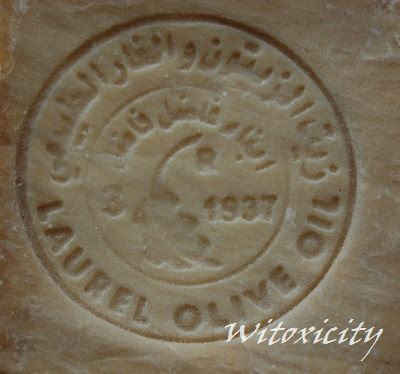 All that I had to go on with was the stamp on the soap - some Arabic words, "Laurel Olive Oil", 3, R and 1937 - and a very short description on a card where the soaps were displayed (all I remember now is the word 'Aleppo'). At home, I did some checking and found out that this soap was highly likely made by a family-run business called Fadel Fadel Sons in Syria. I came to this conclusion based on a comparison of the stamp on my block of soap with some images found online. I found some basic information on Fadel Fadel Sons (established in 1937) on Alibaba.com, the Chinese business-to-business trade website. Fadel Fadel Sons calls this soap Aleppo Ghar Soap (Ghar - traditional Aleppo soap) and it appears that these days, they sell their soaps in much nicer-looking packaging - hey, printed boxes! I bought mine almost two years ago, so I don't know, perhaps they didn't put them in proper boxes then. The thought that my piece of soap may be a fake did cross my mind but I'm giving it the benefit of the doubt. • not produced by engineers or “fashion designers” in a uniform shape like most other commercially available soaps. • made from pure virgin olive oil and pure (bay) laurel leaf oil. 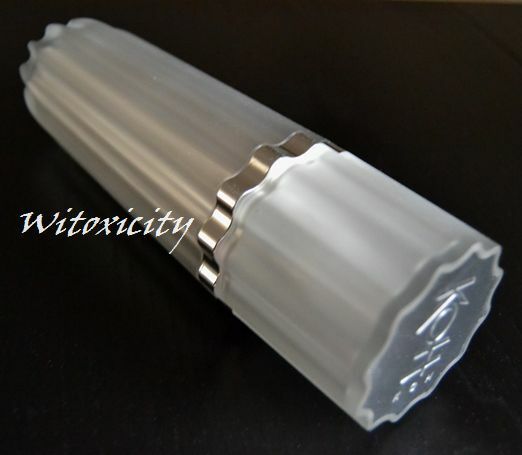 • mild enough for everyday use. • is made of 100% natural ingredients offering the highest level of responsible hygienic care, nourishment and protection for the skin. 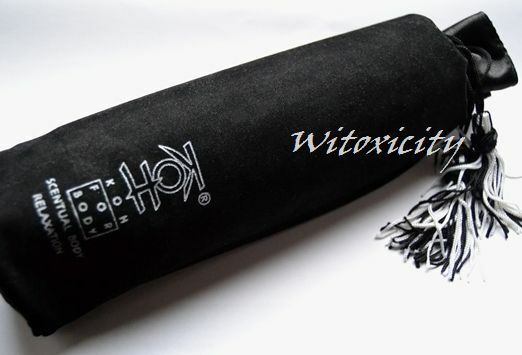 • does not contain any animal fat, coloring materials, added perfume, acid, antioxidant, chemical or synthetic derivative. It's a good thing that Fadel Fadel Sons also included the soap's list of ingredients on the trade website. 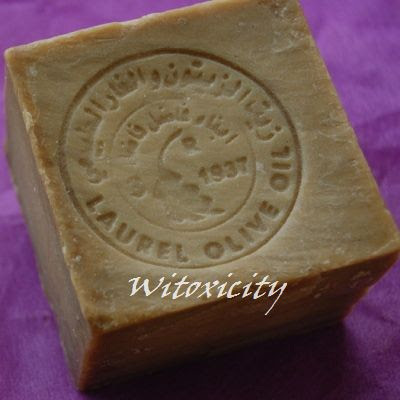 There are several factories in Aleppo that produce soaps containing palm oil, animal fats and artificial coloring. The registered trademark "Fadel Fadel Sons" guarantees its soap is made exclusively from olive oil, laurel leaf oil, and soda (extracted from sea salt). I had read that these Aleppo soaps won't dry your skin out. On hindsight, I must have had unrealistic expectations as I thought I could kiss my body moisturisers goodbye. I experimented with that for three weeks and totally stayed away from body lotions etc. Unfortunately, it was in the colder, drier months and my skin became way too dry. I decided that I didn't like the soap and promptly put it away. Well, about two months ago, I took the piece of soap out to use again but this time, I retained my usual routine of applying body moisturiser after a shower. I had better results this time. They say that it can be used on the face too but I haven't tried that. 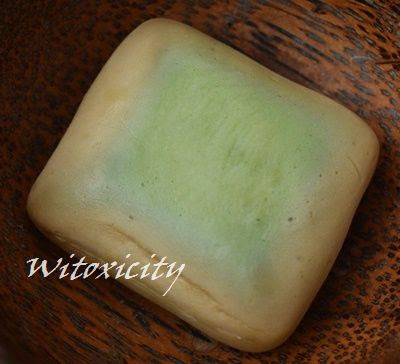 • If you're used to gripping flat bars of soap, lathering yourself with this chunk of soap would take some getting used to. • It smells raw, green, earthy and.....funny. • It lathers well enough. • The skin does feel squeaky clean afterwards. 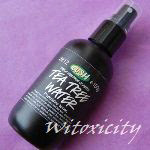 • Unless you live in a hot and humid country, I'd recommend still using a body moisturiser after your shower. 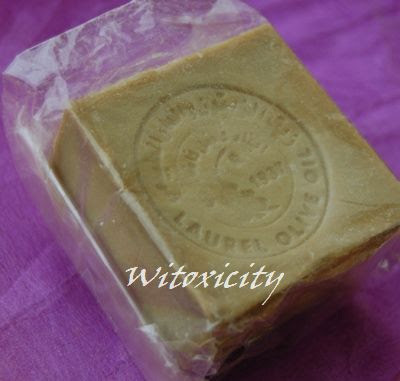 • Due to the time given for the soaps to dry and mature - almost a year - before they are packaged for sale, the outer part of the soap is golden brown and the inside, green (which is the original colour). I paid around €6 for my block of soap. I believe it was a 200g block. I'm still on the fence about this Aleppo soap but I will say that my interest has been piqued. I think Fadel Fadel Sons makes several versions of this soap by varying the ratio between the olive oil and laurel leaf oil ingredients. The higher the proportion of laurel leaf oil, the higher the price. I have absolutely no idea what the ratio for my block of soap is. Perhaps the number 3 refers to which version of soap it is. 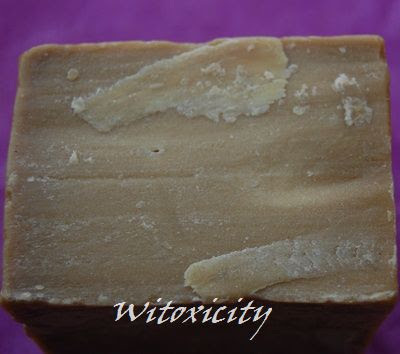 If you're looking for "pretty" (pretty in appearance and in smell), then the Aleppo soap won't be for you. Personally, I'd like to try more Aleppo soaps in the future (it makes a nice change from the usual shower creams/gels). The store where I bought this one from no longer stocks this, so I'll have to find other sources. • Aleppo is a city in Syria. 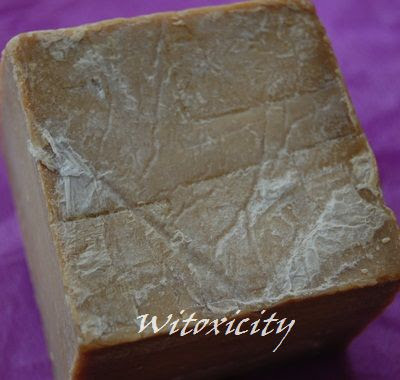 • Aleppo soaps have been used for many, many centuries. 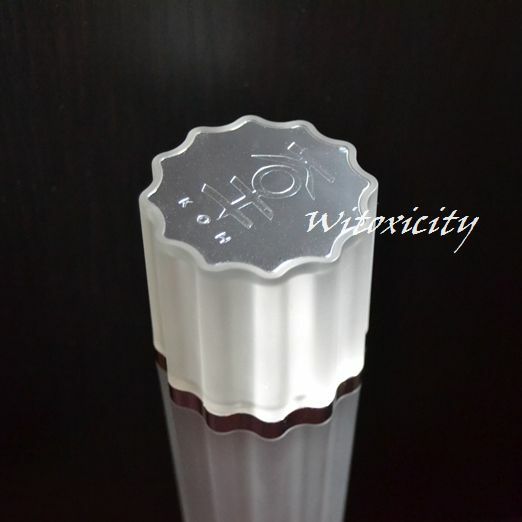 It is said to be the first hard soap ever created. Have a read on how Aleppo soaps are made. I wrote about Stage Cosmetics back in May when I featured one of its eyeshadow palettes. I was on holiday last year and along with the eyeshadow palette, I also bought this bottle of nail polish. Of all the polishes on display in the store, I thought this was the only one which stood out. The rest seemed, well, ordinary. This bottle of Stage nail polish has been christened Extreme. 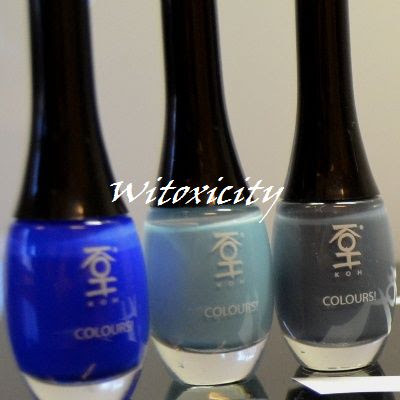 I just checked the brand's website and it appears that all the polishes have been given single-worded names, adjectives eg: Delicate, Luscious, Fascinating, Majestic, Innocent.....you get the idea. So, really, compared to the rest, this polish I've got would be considered pretty "off the charts". I've got two coats on here and I really like the formula. The polish applied very well. 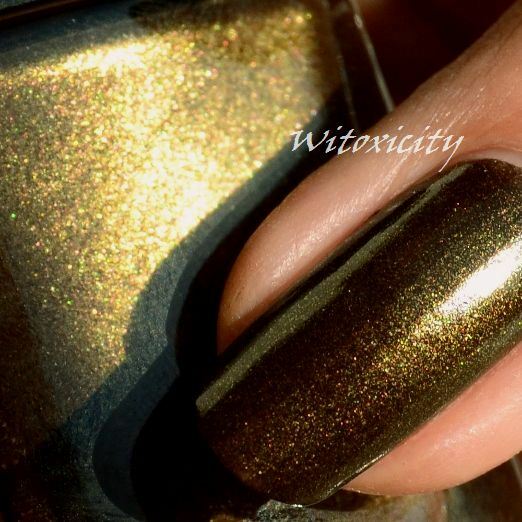 I would describe Extreme as a very dark brown crème dense with fine brassy golden shimmer. 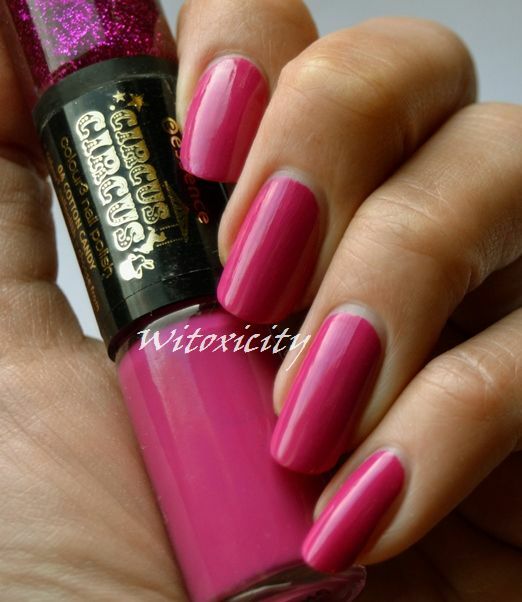 I have to say, Extreme bears some resemblance to Catrice Welcome To The Jungle. It's almost a dupe. Extreme glows green-brassy-gold and while Welcome To The Jungle has a similar colour, its shimmers are somewhat subdued compared to those of Extreme. Essence Gold Old Buffy could also be Extreme's cousin but the former looks more rugged with bigger specks of shimmer/micro glitters. 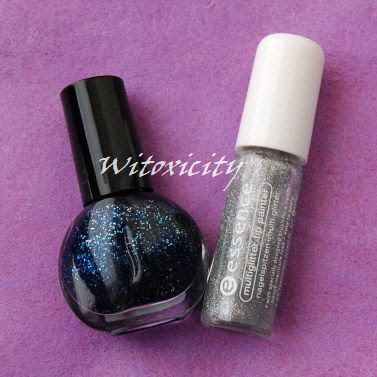 If I recall correctly, I paid the equivalent of about €9 for this 11ml bottle of polish. 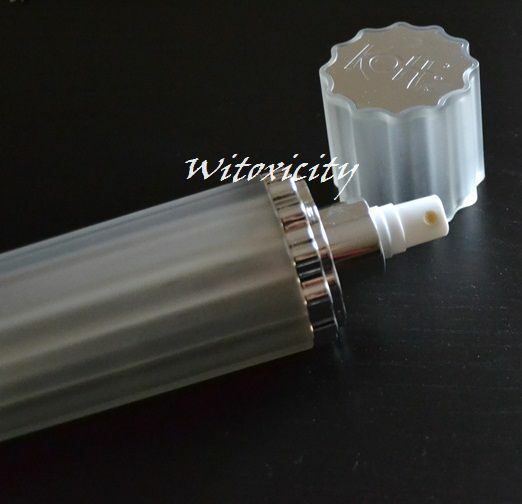 You probably would have noticed - the bottle has a double-cap, like Chanel polishes. Here in the Netherlands, the drugstores that we frequently visit are Kruidvat and Etos (the former, especially, is ubiquitous!). For those in the UK, that's quite like your Boots and Superdrug stores. Over here, Boots stores are quite a novelty. I mentioned Boots early last year in my Beauty Shopping In The Netherlands: Drugstores post. To cut a long story short, Boots had been in the Netherlands before in the 1990s, then left us and returned in early 2009. When I wrote that abovementioned post, there were only five Boots stores here. Almost two years later, they've grown to about 20 stores throughout the country. The Boots store that I've been to is a fairly small one, a cosy neighbourhood pharmacy/drugstore. The range isn't huge but it has got No7 and Botanics products. 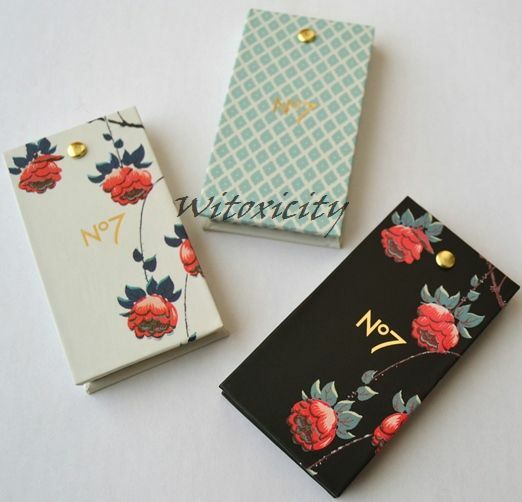 I walked into the store a few weeks back and I saw some really pretty makeup palettes from No7. They are from the Christmas collection and ladies in the UK would surely have seen these in the local Boots stores. 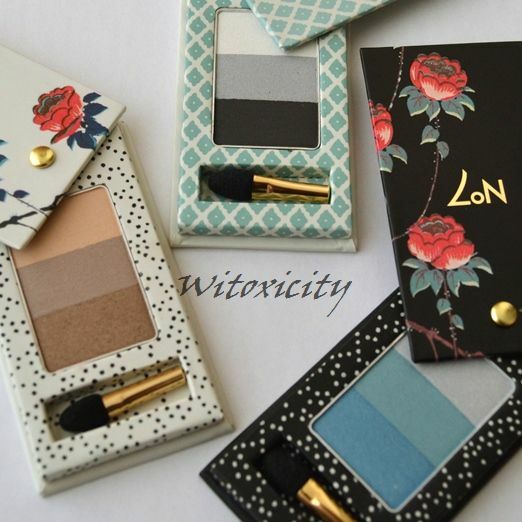 I bought this set: No7 Mini Eye Palettes. 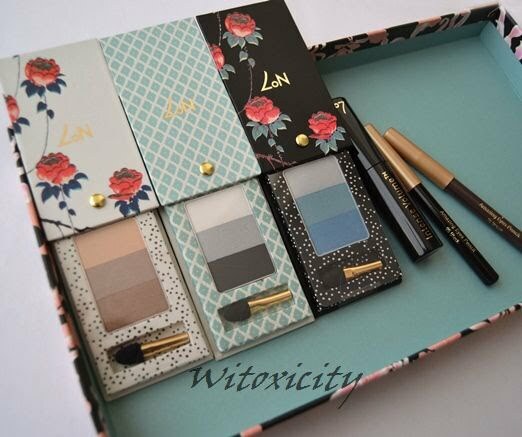 Aren't the eyeshadow palettes pretty? They are laminated cardboard palettes with covers that swivel open. They are small, measuring only 4.5cm x 8.5cm. I had never tried No7 products before, even back in the old days when I had easy access to Boots. I'm shamelessly saying that, this time around, I was plainly sold on the cute packaging. I've decided to split this feature into several posts. I will also write about the eye pencils but I doubt I will do a post on the mascara anytime soon. I won't start using this new mascara until I've finished my existing ones (must be disciplined!). 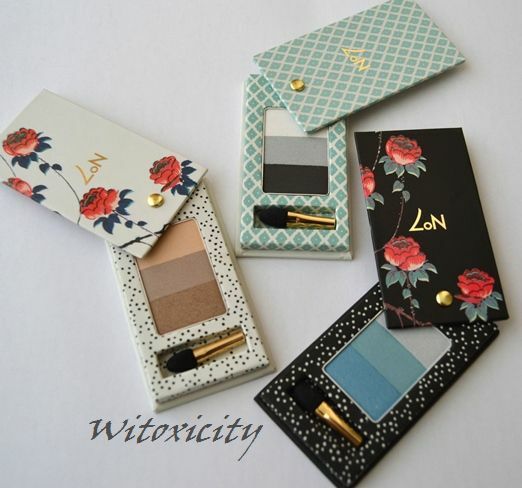 Here, we'll take a look at the three cute trio eyeshadow palettes. These three colour combinations - Cappuccino, Twilight and Beside The Sea - are mini versions of the No7 Stay Perfect Trio Eye Shadow Palettes that are in the main collection (housed in round/oblong black palettes). The applicators that come in these mini palettes are tiny. The sponge isn't too bad but the handle is ridiculously short, 2cm (in order to fit inside the palette). In general, the eyeshadows do crumble a bit and their pigmentation is so-so (it's nowhere near excellent). You definitely need a good eyeshadow base for them. 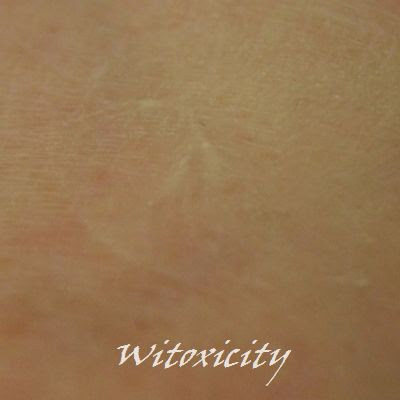 It took a while to get past the imprint (for a while, all I was getting were disappointing ashy, chalky shades). Of these three palettes, I think Cappuccino performed the best. 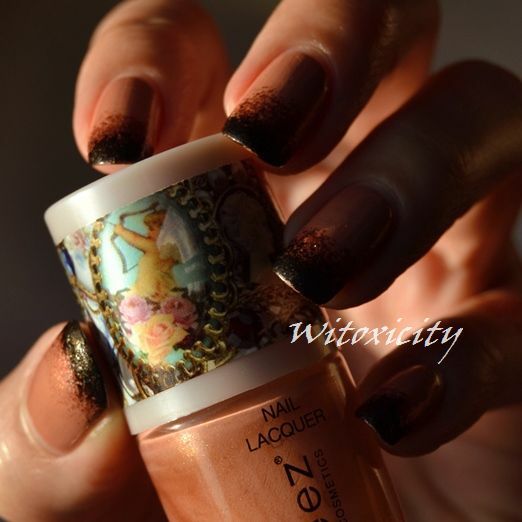 The darkest shade, golden brown is gorgeous and the most pigmented. 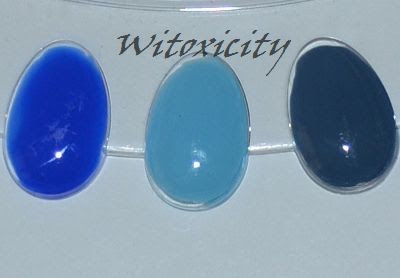 In the blue set, Beside The Sea, the pigmentation of the middle shade could be improved on. The black&white palette, Twilight, was the worst performer. The white is fine but the silvery grey is half-dead and the black is weak. When I see black, I'd like a black black, please. 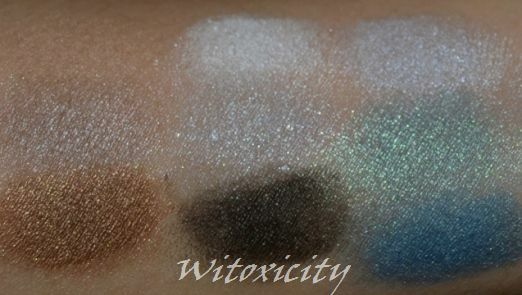 So, bottomline, I find the quality of these eyeshadows just average (to below average for Twilight). Cappuccino, though, is a good one. 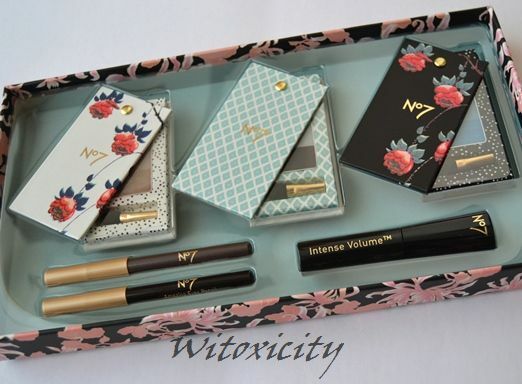 This giftset is priced at €17.95. Just like in Boots in the UK, Boots Netherlands is now also holding a 3 for 2 Christmas offer on giftsets. I got two other products from Botanics to take advantage of this offer. I don't know if this specific set is available in the Boots physical stores in the UK. I see a similar set on its website. 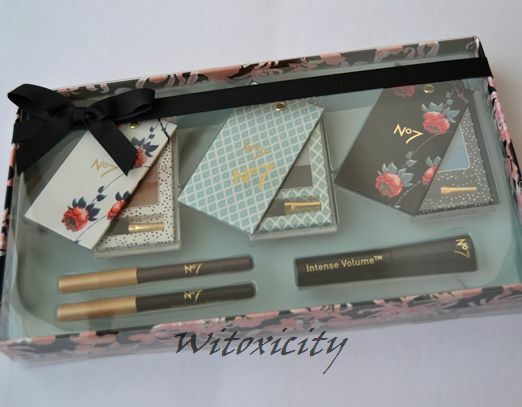 It has the Classic Matte, Good Earth, Beside The Sea mini trio eyeshadow palettes, the same two eye pencils and the No7 Extreme Length Mascara. It's called the No7 Smoky Eye Trio. Price: £16.00. For Dutch ladies, there is now a Boots online shop. There are a few other palettes available - with different combinations of products including lipglosses and nail polishes. This is a sneak peek of what KOH will be releasing early next year - The Vintage Jeans Collection. 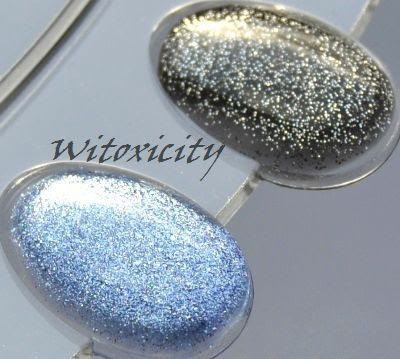 There isn't any press release on this yet (not as far as I know) but let's all have a look at the polishes. 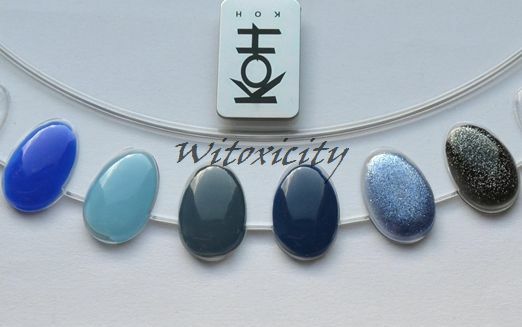 I've been granted permission to take photos of the bottles and KOH was kind enough to pass me a nail wheel pre-painted with these six polishes. 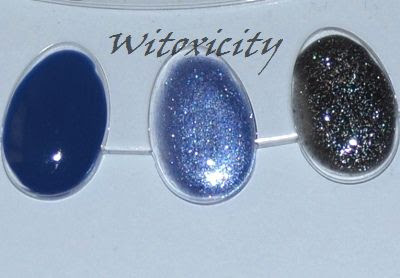 I haven't got the bottles myself to show you these bluesy, grungy polishes on my nails, so you'd have to make do with swatches on the nail wheel. Note: This KOH Vintage Jeans Collection is not to be confused with the KOH Jeans Collection which were in stores middle of this year. 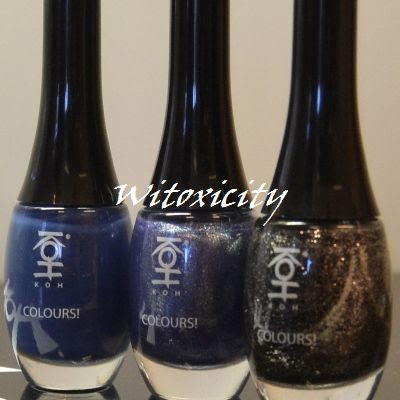 The Jeans Collection was put together to shine the spotlight on some of the blue KOH polishes in the permanent collection. 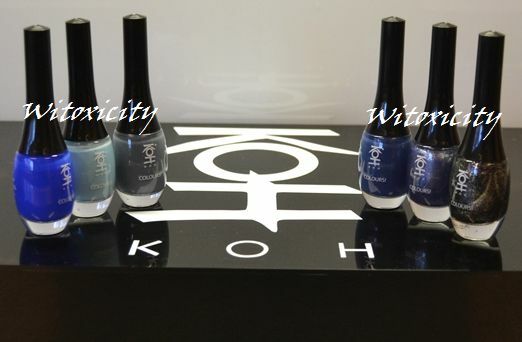 The KOH Vintage Jeans Collection is made up of newly created polishes. I believe they have been trialling KOH Rock Chick in the last couple of months in the KOH Experience Shop in Amsterdam (and probably in Eindhoven too). 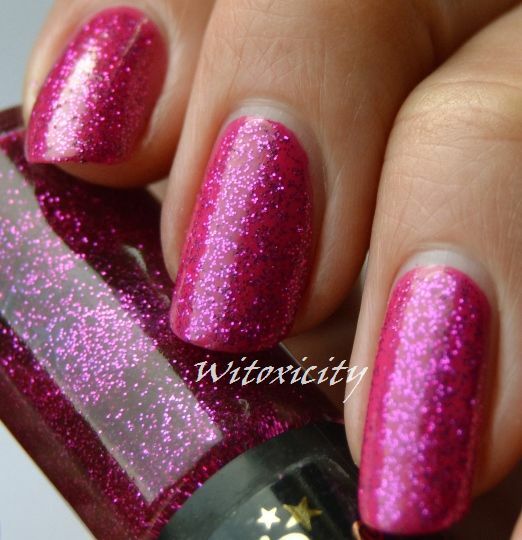 I remember being shown this shade there in October but at that time, it was still a nameless polish. 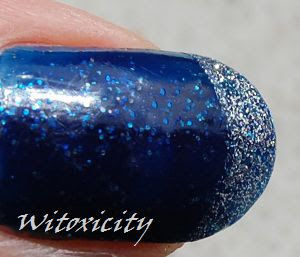 Check out the third and the fifth photo in my post, KOH Experience Shop: New Look, and see if you can spot that cobalt blue amongst the existing KOH polishes on that Wall of Joyful Colours. The release date of the KOH Vintage Jeans Collection is still unknown.